Interested in improving deer habitat? SKANDIA — Private landowners interested in helping to maintain or improve Upper Peninsula deer wintering habitat can learn more about the subject and cost-share programs available to aid in those efforts at any of three upcoming meetings scheduled by the Michigan Department of Natural Resources. ≤ March 27 at the Skandia Township Hall, 224 Kreiger Drive in Skandia; Contact: Matt Watkeys, Marquette Conservation District, 906-226-8871, ext. 128. ≤ Monday, April 3 at the Comfort Inn, 617 E. Lakeshore Drive in Manistique; Contact: Rory Mattson, Delta County Conservation District, 906-280-6947. ≤ Tuesday, April 4 at the Kinross Township Hall, 4884 W. Curtis Street in Kincheloe; Contact: Travis Kangas, Chippewa-Luce-Mackinac Conservation District, 906-632-9611, ext. 109. 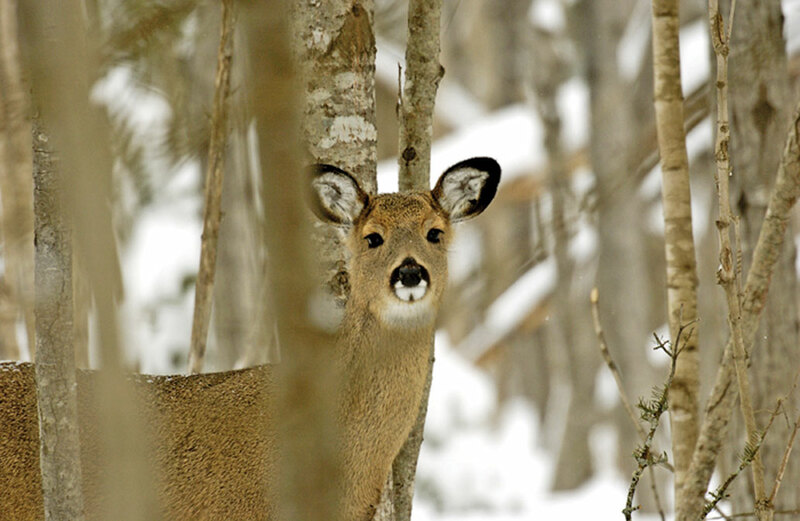 To avoid deep snow, deer migrate each winter throughout most of the U.P. to deer wintering complexes — often called deer yards — containing dense canopies of conifer trees, especially cedar and hemlock. This important conifer shelter reduces snow depth and allows deer to move over connected snow-packed trails. These trail systems provide access to food and assist deer in evading predators. Several areas within the eastern U.P. contain deer wintering complexes. Three consecutive severe winters, and subsequent decline in deer numbers, have raised concerns about habitat conditions in these complexes, especially winter shelter. To help improve habitat conditions for deer, the DNR needs help from private landowners. Of the 10.6 million acres of land in the U.P., roughly 20 percent is managed by the DNR. In the U.P., where deer have to migrate to survive winter, they gather on about 30 percent of their range. The U.P. Habitat Workgroup, which is composed of natural resource professionals, private landowners and sportsmen’s groups, has been working for several months toward increased habitat improvements in deer wintering complexes. The upcoming meetings are an extension of those efforts. Recently, the DNR mailed letters to landowners whose property lies near deer wintering complexes in the eastern U.P. 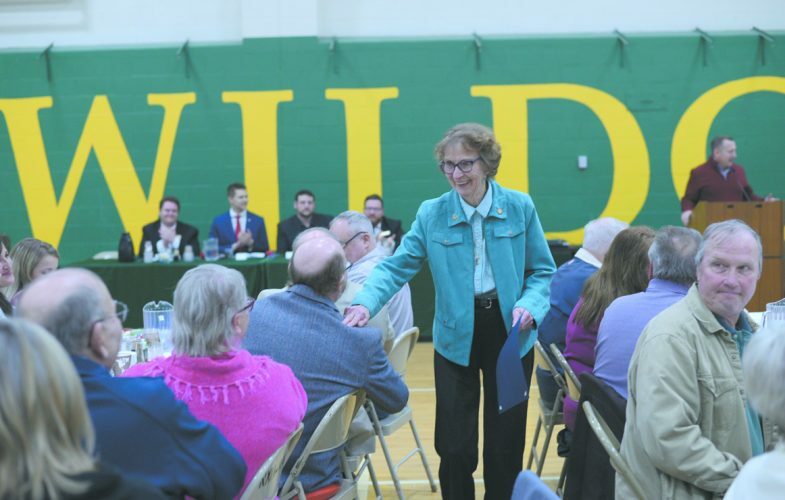 The letters notify landowners of the meetings, invite them to attend to learn more about habitat improvement opportunities and detail what they can do on their properties to aid deer populations. At the meetings, Robert Doepker, a DNR wildlife biologist, will provide an introduction to deer wintering complex management plans, a general overview of deer winter range in the U.P. and general forest management guidelines. Houghton will discuss the Forest Stewardship Program. A local conservation district forester will introduce the Forestry Assistance Program and detail cost share programs available to private forestland owners to improve deer habitat. Each of the meetings will conclude with a panel discussion featuring Doepker, DNR field operations manager Bill Scullon, a local DNR biologist, a local conservation district forester and a consulting forester. For more information on various cost share programs that can help offset the cost of resource management plan preparation, contact Houghton at 906-786-2351. Local conservation districts in the eastern U.P. have foresters on staff available for a free site visit to your property. Contact Watkeys, Mattson or Kangas to help decide if there are financial assistance programs available to help you improve deer wintering habitat. To find out more information about the U.P. Habitat Workgroup, contact Jim Hammill at 906-875-6487. For more information, visit the DNR’s webpage at www.michigan.gov/dnr.